Patricia Ann Murray McChesney was born August 30, 1928 in Wichita Falls, Texas to Volney Beck Murray, Sr. and Jewel Elsie Long Murray of Byers, Texas. Pat was raised in Byers, Texas where she excelled in high school sports such as tennis and volleyball. As a girl she loved horseback riding and loved to spend time at her father’s dry goods store in Byers. After high school she attended Hardin Simmons University where she met her companion for the next 60 plus years of her life. Pat married Howard Perry McChesney, Jr. of Van Nuys California, in January of 1950. While at HSU she was a rider of one of the famed Six White Horses of Hardin Simmons and traveled the country representing the university and the state by displaying the six flags flown over Texas. Pat was a proud member of this prestigious group of women and also a member of the HSU Cowgirls Organization. After graduation Pat had a career in teaching elementary school beginning in Winters, Texas and later in Abilene, Texas and finally in Richardson Independent School District at Northwood Hills Elementary. She retired from teaching after 32 years and most of it was spent encouraging girls to take up her life passion, volleyball. 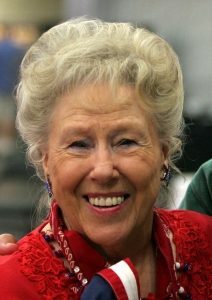 Pat played, coached, served on committees and cheered on players of volleyball for the last 65 years of her life. She and Howard were great fans and long time supporters of J. J. Pearce Volleyball. The 2009 Pearce team was a special source of pride making it to the Texas state volleyball championships. She attended the national volleyball tournament every spring and played in the national and international senior Olympic Games, winning team medals at both venues. 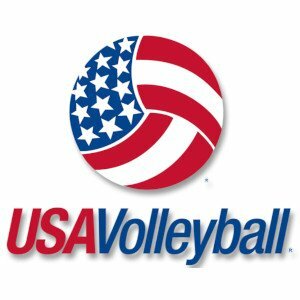 In 2000 she was the recipient of the USA Volleyball Frier award recognizing her long time contribution to the game of volleyball. She served on the United States Volleyball Board of directors for a number of years and chaired the Olympic, National, and All American Selection Committee. Pat passed away on Monday March 29, 2010 in her sleep and in the peaceful presence of a granddaughter and two volleyball friends. For those wanting to honor Pat and give back to the sport she so dearly loved, donations can be made in her honor to the Pat McChesney Volleyball Foundation to continue to support the JJ Pearce HS Volleyball program. Please contact Paul Olschwanger at 214-535-5721 to arrange.